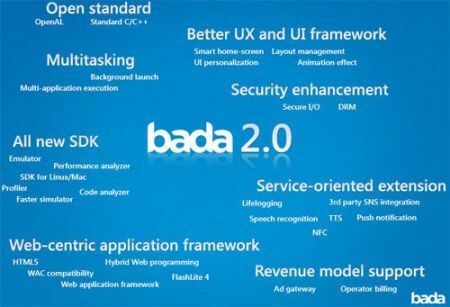 Samsung has been rumoured to launch the new Bada 2.0 OS. The exact date of the release hasn’t been confirmed, but according to an article by the Financial Express; Samsung shared some information about the new OS and it might be releasing it in the month of July. With the Wave series selling pretty smooth in India, Samsung plans to sell out more handset in 2011. They are targeting a 30% share in the smart phone market in India; they currently have 10-15%.